This article introduces products from a previous model year. To see the latest Callaway golf clubs, please visit our Callaway drivers and Callaway fairway woods pages. Weight positioning is one of the most critical elements in a clubhead for delivering the most mass at the highest speed to the ball at impact. Callaway’s new Forged Composite™ technology delivers a brand new material, giving engineers the freedom to position weight exactly where needed for maximized distance, accuracy, and workability. That’s why they are calling the new Callaway RAZR Hawk Driver "golf’s first uncompromised driver". A result of the unique partnership between Callaway and Lamborghini, this new material is one-third the density of titanium, yet features a greater load carrying capacity per unit mass in bending. Because it’s lighter and stronger than titanium, engineers can much more precisely control thickness like never before, resulting in a clubhead that’s lighter and stronger than titanium but still has an extremely high MOI. The lighter clubhead also allows for a longer club configuration without compromising forgiveness. A chemical milling process in the RAZR Hawk Driver selectively removes excess material for precision thickness control across the face to produce consistently high ball speeds for long distance. RAZR Hawk Drivers have the RAZR Weighting System; Draw and Neutral configurations allows golfers to choose the model that works best with their ball flight. Select models offer either Draw or Neutral configurations. 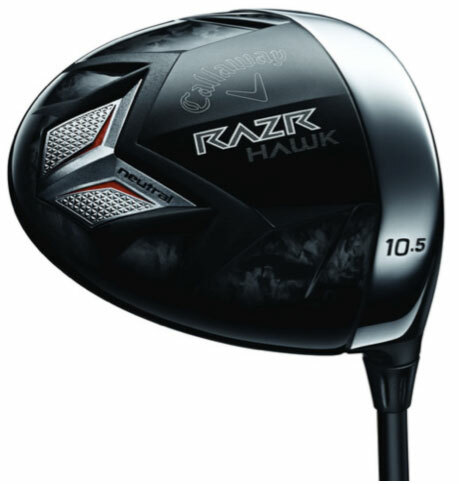 The RAZR Hawk Driver has an Aldila RIP Graphite Shaft with optimized torque and flex characteristics for better tip stability, predictability, feel and control. The RAZR Hawk Driver features streamlined surface contours to reduce energy loss from drag during the downswing. Callaway says they have reduced energy loss by 43% compared to the FT-9 Driver, netting a serious increase in impact speeds which will add distance. The design elements tie in nicely with the RAZR Hawk theme with strong, sharp metallic lines and winged shapes, also consistent with the Callaway brand. It’s hard to see on the screen, but they have also incorporated a foggy, gray camouflage-esque finish against the black sole. The face has a traditional silver finish which contrasts against the black crown that includes the Callaway logo alignment aid. Though not visible at address, the Hyperbolic Face is greatly distinguished from the black composite sole, defining the two elements as separate, conjoined parts; a very modern, non-traditional look. Buy RAZR Hawk Fairway Now! The Callaway RAZR Hawk Fairway Woods also utilize Forged Composite material in the crown, so again, a lighter, stronger fairway metal than a titanium-based club. 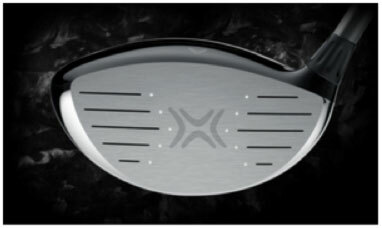 Aggressive VFT® Technology is utilized to increase the size of the sweet spot to generate more ball speed for distance. These woods also feature stainless steel faces and soles in a traditional shape with a full length hosel that appeals to a broad range of players. 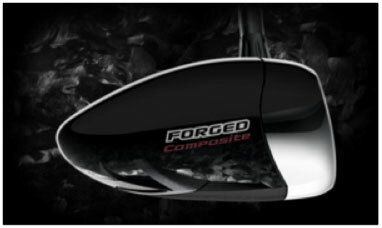 Forged Composite is the first collaborative effort between Callaway and Lamborghini and is featured in the RAZR Hawk as well as the Diablo Octane woods. It will be interesting to see how these perform relative to recent offerings from Callaway and to other clubs in this category. Whatever the results, we are likely to see more from this line over the next few years, given the extensive partnership with Lamborghini and the fact that they are just beginning to uncover the potential of the new material. 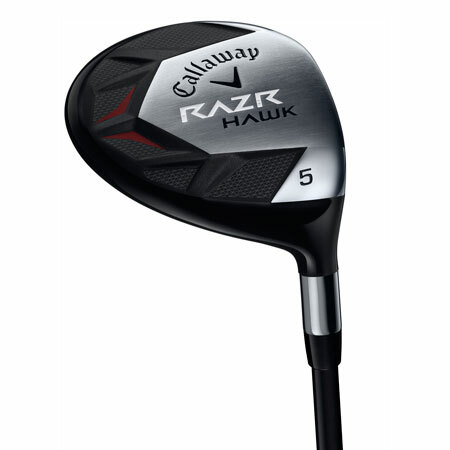 The Callaway RAZR Hawk could be the start of something big for Callaway. Look for these bad boys to hit the shelves on February 18.